Alex Caffi Motorsports ran three cars for the first time in the fourth round of the 2018 NASCAR Whelen Euro Series, on the French oval of Tours. Great satisfaction in the team of the Monegasque former F1 driver for the performance shown by the drivers, constantly in the top ten. Carmen Boix clinched two victories among the Ladies increasing her leadership. Kenko Miura took a podium in the Challenge, and good results also came from the team's new entries, Lucas Lasserre and Pierluigi Veronesi. The series born in the United States confirms its appeal: the 450 Bhp Chevrolet-engined cars, with 1,200 kg weight, contested the only race on oval outside North America on the 650m of the Tours circuit for the last race of the regular season before the summer break and the semi-finals and finals scheduled for September and October in Germany and Belgium. In Elite 1 good performance for frenchman Lucas Lasserre on the Chevrolet SS: starting from 10th, he narrowly missed out a podium in the semifinal and finished 6th in race 1 on Saturday. Japanese Kenko Miura with the Toyota Camry, 19th in qualifying and ninth in the semifinal, finished third in challenge continuing his string of podiums. Sunday in race 2 Kenko Miura, who started 13th, drove at a high pace, finishing 2nd in challenge just 0.3" from the winner and 11th overall, followed by his team-mate Lucas Lasserre who had set off 9th. In Elite 2 the three team drivers finished in the top ten in the semifinals on Saturday and in race 1: Italian Pierluigi Veronesi (Ford Mustang) and Kenko Miura (Toyota Camry) starting from the seventh row fought against each other taking the chequered flag in 6th and 7th position, 3rd and 4th Rookies, divided by just over 0.2". Close behind them was Spanish Carmen Boix, at her debut on the Chevrolet SS. 15th on the grid, she finished 9th and first among the Ladies. In race 2 on Sunday tenth place and sixth success this season in the Ladies for Carmen Boix, while Pierluigi Veronesi and Kenko Miura stopped during the first laps. 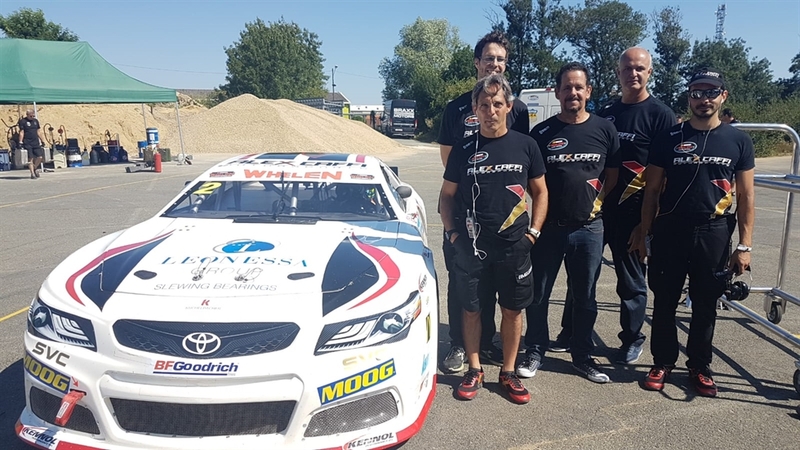 Alex Caffi said “We are very satisfied with the excellent work done as usual by the team and appreciated also and above all by the new entries. Dean klock's indications and his experience of ovals were invaluable. Kenko Miura did very well, in Elite 1 where the level is higher he was close to P 10, in Elite 2 he could have been in the top 5 but was sidelined by a small transmission problem. Carmen was constantly in the top ten taking two Ladies' wins. I am sorry for Lasserre, he was sixth in race 2, unfortunately in a small contact he punctured the front right tyre, quickly replaced in the pits. He fought back, but the track was too short. Too bad because we could have helped him get more points. Veronesi also did well in race 1, while today he found himself involved in an accident. 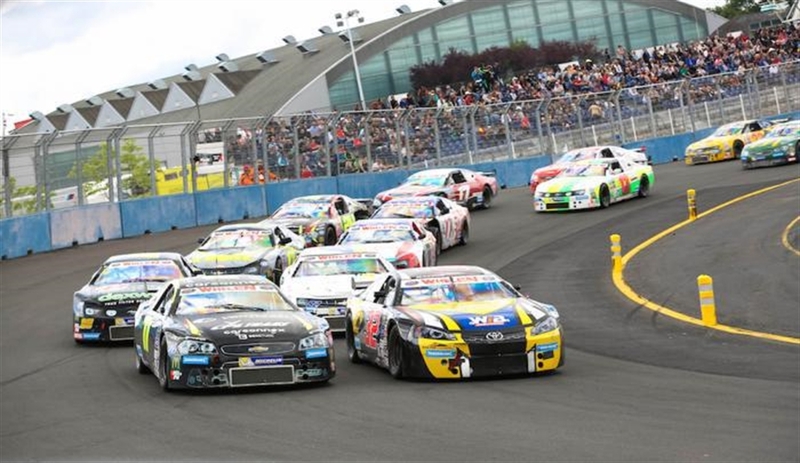 Now the intention is to continue with three cars until the season end. TheElite Club drivers will also be back in the Hockenheim semi-final”. 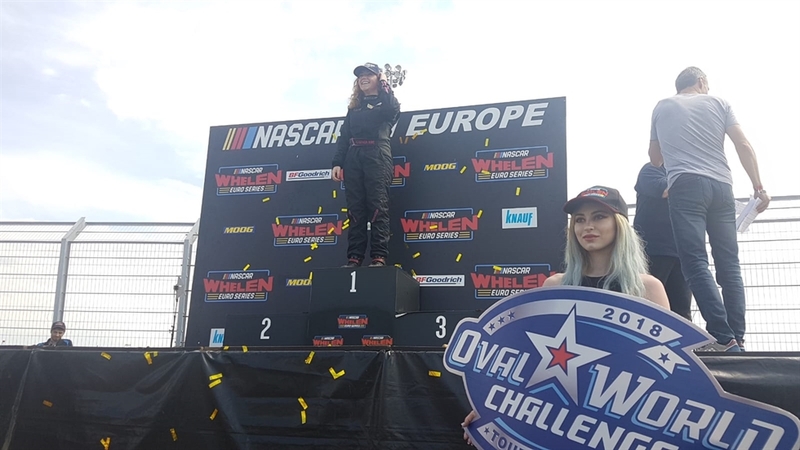 2018 NASCAR Whelen Euro Series Calendar: 13-15 apr Valencia (E); 18-20 may Franciacorta (I); 8-10 jun Brands Hatch (UK); 29 jun – 1 jul Tours (F); 14-16 sep Hockenheim (D); 19-21 oct final Zolder (B).